Comet C/2011 L4 Pan-STARRS drops into the notch between Mt. Meeker and Long's Peak from a viewpoint in Lyons, Colorado. Link. Published on June 28, 2016 by Mark Johnston. Lots of snow lies on the flanks of Mt. Meeker and Long's Peak from last weekend's storm. 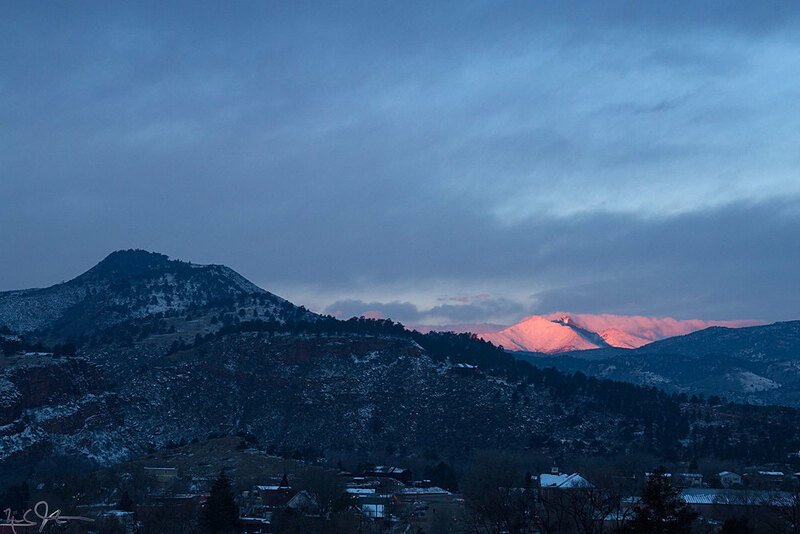 There are moments just at sunrise when the long rays of the sun illuminate the peaks in pink and purple. Link. Published on April 13, 2013 by Mark Johnston.